AvaDent®‘s revolutionary technology brings the precision, speed, and profitability of digital process automation to dentures using Computer Aided Engineering. CAE in conjunction with CAD/CAM creates a comprehensive digital platform that drives a level of control and consistency never before possible. 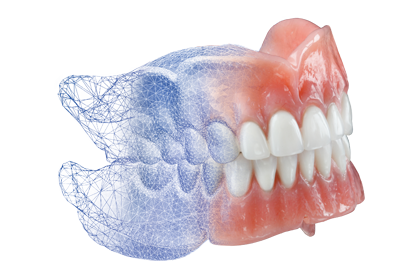 AvaDent has the ability to create precise-fitting aesthetic dentures in as little as two appointments. AvaDent offers you and your patients exceptional function, aesthetics, and convenience.